Sicario: Day of the Soldado (film, 2018). A 2018 American crime-action film with "R" rating by Columbia Pictures (USA/CAN/LAT/SPA)/Lionsgate (International)/Lions Gate Entertainment. Directed by Stefano Sollima. Official Trailer. 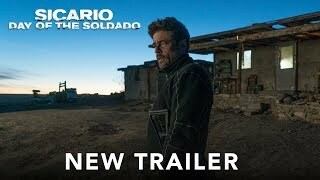 Sicario: Day of the Soldado is a 2018 American crime-action film directed by Stefano Sollima. 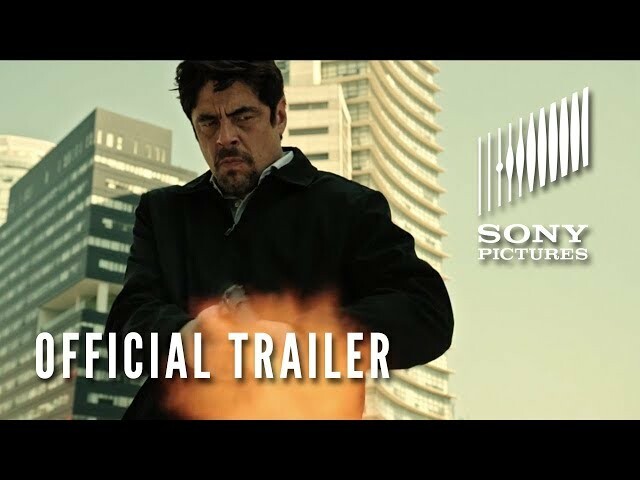 SICARIO: DAY OF THE SOLDADO - Official Trailer #3. A suicide bombing in a Kansas City grocery store kills fifteen people. The United States government responds by authorizing CIA agent Matt Graver to apply extreme measures to combat Mexican drug cartels who are suspected of having smuggled the terrorists across the border. Graver and the Department of Defense decide the best option is to instigate a war between the major cartels, and Graver recruits black operative Alejandro Gillick for the mission. Gillick assassinates a high-profile lawyer of the Matamoros cartel in Mexico City while Graver and his team kidnap Isabel Reyes, the daughter of the kingpin of the Matamoros' rival, Carlos Reyes (who ordered the killing of Gillick's family in the previous film), in a false flag operation. Graver, Gillick, and their team take Isabel to Texas and stage a fake rescue with the help of the DEA and local police, trying to make her think she was kidnapped by her father's enemies. Gillick bonds with Isabel, and the team makes plans to transport her back to Mexico. They plan to leave her in territory controlled by her father's rivals to further escalate the inter-cartel conflict. However, after they cross into Mexico, the Mexican police escorts double-cross them and attack the American vehicles. Graver and his team kill 15 Mexican policemen to escape the ambush. Amidst the chaos, Isabel runs away into the desert. Gillick goes after her alone while the rest of the team returns to the United States. Meanwhile, the American government determines that at least two of the suicide bombers in Kansas City were actually domestic terrorists, not foreign nationals, and thus were not smuggled into the United States by the cartels. To quell tensions with Mexico, the Secretary of Defense orders the CIA to abandon the mission. Learning that Isabel witnessed the Americans shooting the Mexican police, the Secretary orders the team to erase all proof of American involvement by killing Isabel and Gillick. Graver in turn orders Gillick to kill Isabel, but Gillick refuses and turns rogue to keep her alive. Graver and his team fly covertly into Mexico, using a GPS device embedded in Isabel's shoe to find them. Gillick knows that if Isabel remains in Mexico, she will be killed. With few resources, he disguises them both as illegal immigrants and pays human traffickers to help them reenter the United States. Principal photography began in New Mexico on November 8, 2016. 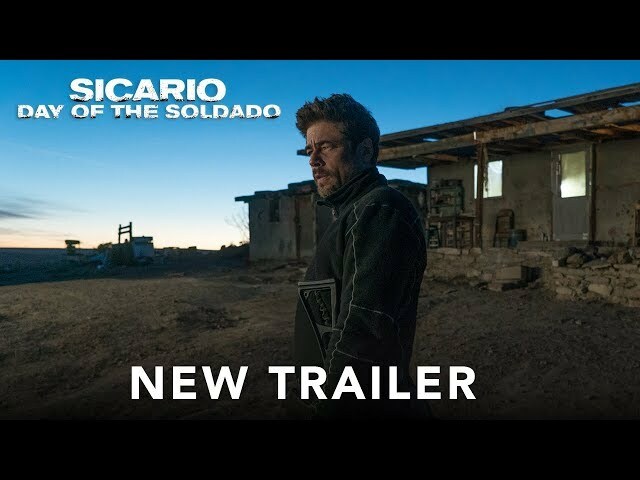 The film Sicario: Day of the Soldado was scheduled to be released by Columbia Pictures (USA/CAN/LAT/SPA), Lionsgate (International) and Lions Gate Entertainment on June 11, 2018 (Antara Polanco), on June 29, 2018 (United States) and on July 26, 2018 (Germany). The duration of the film is 122 minutes. With a budget of $35-45 million, the film grossed over $75.8 million. 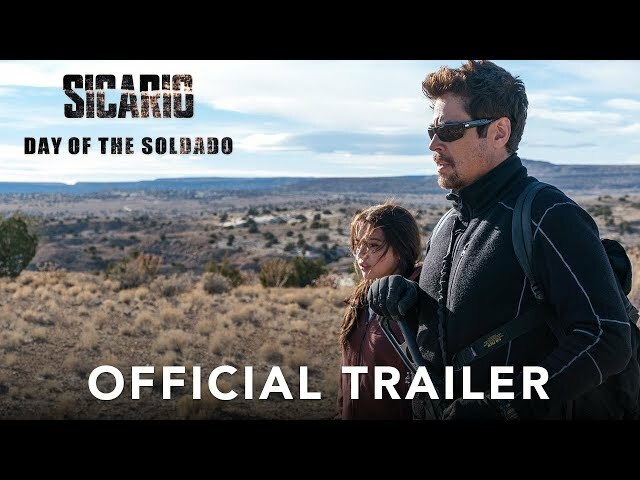 Sicario: Day of the Soldado got high rating from critics. The audience also likes the film. Audiences polled by CinemaScore gave the film an average grade of "B" on a scale ranging from A+ to F.